There’s a new frenzy in town for lovers of the round-leather game and it’s not Chelsea, Arsenal or Barcelona; it is Stationery Stores Football Club, the darling team of Lagos fans. Since returning to national reckoning by raising a team to compete in the second-tier Nigerian National League (NNL), which began last month, Onikan Stadium, the ancestral home ground of the club in Lagos Island is now the place to be for football lovers on match days. Affectionately known to Lagos fans as ‘Flaming Flamingoes’ or ‘Super Stores,’ the team recently got a lifeline from the owners, the Adebajo family and the organized supporters of the club by Adebayo Olowo-Ake, who worked tirelessly with others to ensure Stores are resurrected after several years of inactivity following a family impasse. Stationery Stores have had its fair share of top-flight football, which has not been rosy. They have won two games, drawn two and lost two in this order: Stores vs Abia Comets 1-1; Gateway FC vs Stores 1-1; Stores vs Shooting Stars 2-0; MFM vs Stores 4-0; Stores vs Ekiti United 3-2 and Gabros vs Stores 1-0. Of the six games played so far, the most memorable was the 2-0 win over Shooting Stars of Ibadan, which sport followers dubbed a local version of an El Classico match between Real Madrid and Barcelona. The 2-0 score line notwithstanding, the game was a perfect platform to rekindle the memories of old between two rivals and crowd pullers of Nigerian football, whose exploits in the 70s and 80s marked a golden era for domestic football in the country. The atmosphere surrounding the football arena was electrifying, and in a sheer frenzy that resonated beyond the wildest dreams of any football fanatic, the loud beat of drums, songs, dancing and the numerous fans wearing the traditional yellow and maroon colours added to the vibrant mood in the neighbourhood. Like in the days of yore, it is usually a carnival-like atmosphere at the Onikan Stadium on match days with hundreds of Lagosians from all works of life clapping, dancing, chanting the traditional songs of their team and cheering them to victory. 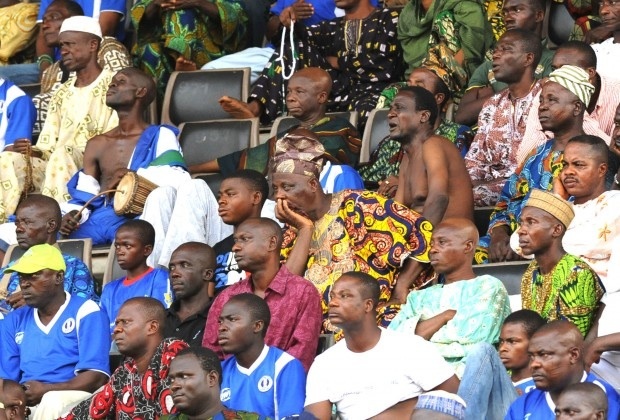 In the club’s first game against Abia Comets on February 15, there were over 3,000 spectators at Onikan Stadium. According to the stadium managers, the last time they had more than 200 people watching football at Onikan was in 2002. It got so bad that they removed the entire turnstile erected at the gate to manage entry of ticket holders into the stadium because nobody was paying anymore until Stationery Stores returned. Against Shooting Stars, the entire stadium was filled except the area reserved for the supporters of the visiting team. 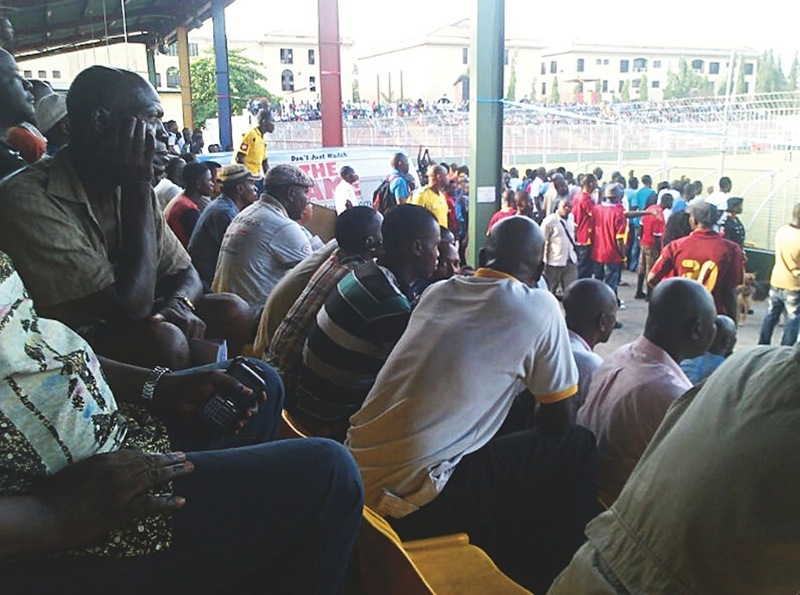 Same turnout was recorded in its home game against Ekiti United. The club’s supporters club marshaled by Adebayo Olowo-Ake hopes to gross 20,000 spectators before the end of the season. 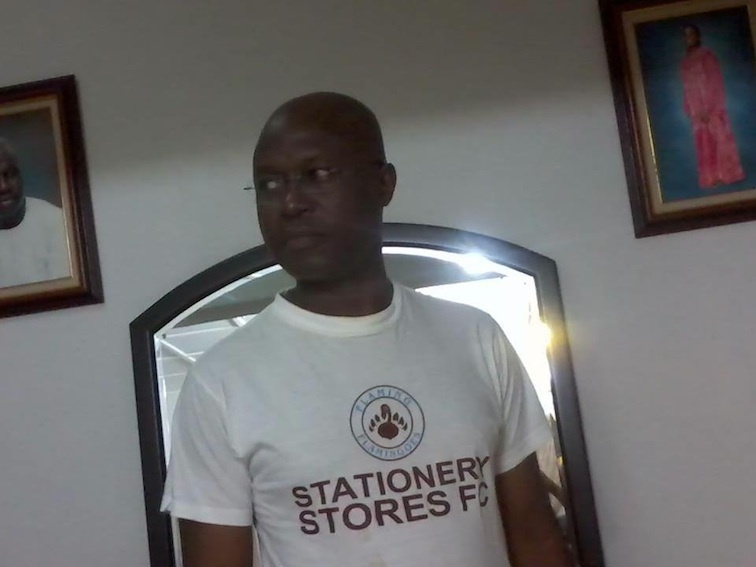 After following the club for over three decades, Adebayo is no stranger to the intrigues that brought Stationery Stores to its abyss and spirited attempts to bring it back on board. In a chat not spanning 20 minutes, The Guardian lost count of the number of times he mentioned Stationery Stores. It’s a project dear to his heart. Fans allude to the fact that the history of Nigerian football would be incomplete without mentioning Stationery Stores, which held sway even before the advent of professional football. “That Stores is back means a lot for Nigerian football. It used to be the most supported football club in the country and its supporters are known for their fanatical followership. Olowo-Ake continued: “Now that the club is back, the feeling that some of us have is that the atmosphere that characterizes Nigerian football will change. We have seen in the past where top-flight competitions are staged in Nigeria and the stadia are empty. This never happened, especially in those days when Stationery Stores played Shooting Stars or Enugu Rangers or Bendel Insurance. There was a lot of followership, camaraderie and excitement. Olowo-Ake believes all stakeholders in the Stationery Stores project have learnt their lessons and that the club is back to stay. “The owners have learnt lessons from what happened, the supporters have learnt lessons, the Nigerian Football Federation itself has learnt lessons, including other clubs. Stationery Stores tried to come back like twice and failed until this latest effort. “One thing I know as a supporter of the club is that Stationery Stores of old is back much stronger now. Everybody is working together to ensure the club stabilizes. After playing only three games, the club got a sponsor. That is a record; there are a lot of domestic premiership teams that don’t even have sponsorship,” he added. With the successful completion of the All Progressives Congress (APC) membership registration nationwide, though the total number of Nigerians captured during the recent exercise is still shrouded in secrecy, and the unveiling last week of the party’s roadmap, the stage is now set for the intense and fierce jostle for relevance ahead of its inaugural national convention billed for April 26. Since the conclusion of the merger of dominant opposition parties – Action Congress of Nigeria (ACN), Congress for Progressive Change (CPC), All Nigeria Peoples Party (ANPP) and a faction of the All Progressives Grand Alliance (APGA) last year, management of the party at the ward, local government, state and national levels had been on an interim arrangement. In Lagos, one of the opposition’s legacy states, the emergence of a caucus group within the APC, named the Crusader Group, is drawing bad blood among party leaders and reigniting tension among existing caucuses in the defunct ACN, whose activities had before now been vetoed. In 2006, during the dying days of the Bola Tinubu’s administration, because of problems the factions were creating in the party, an attempt was made to collapse all the groups, such as Justice Forum, Mandate, Mega and Asiwaju Unity Forum to work for the success of incumbent governor, Babatunde Fashola, ahead of the 2007 elections. Since assuming office, Fashola has operated without the caucuses as much as possible, while trying to run a more efficient administration with less interference from politicians. However, the ambition of the Chief of Staff to Fashola, Mr. Mikhail Olanrewaju Babalola, to succeed his boss has been fingered as the force majeure behind this new group. Inside sources revealed to The Guardian that despite repeated denials, the brainbox of the Crusaders is the interim chairman of the APC in Lagos, Chief Henry Ajomale. 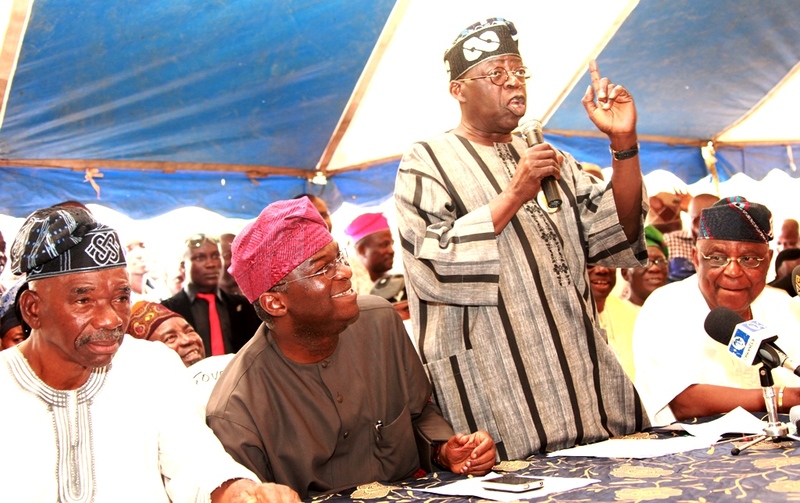 From right: Interim chairman of Lagos APC, Chief Henry Ajomale; national leader of the party, Asiwaju Bola Tinubu, Governor Babatunde Fashola and a party chieftain at a recent function. “The Babalola mandate was given to Ajomale to organize and in doing so, he formed the Crusader Group. This group was launched at his own base, Oshodi-Isolo constituency, last year and members were recruited across the other local government areas in the state. 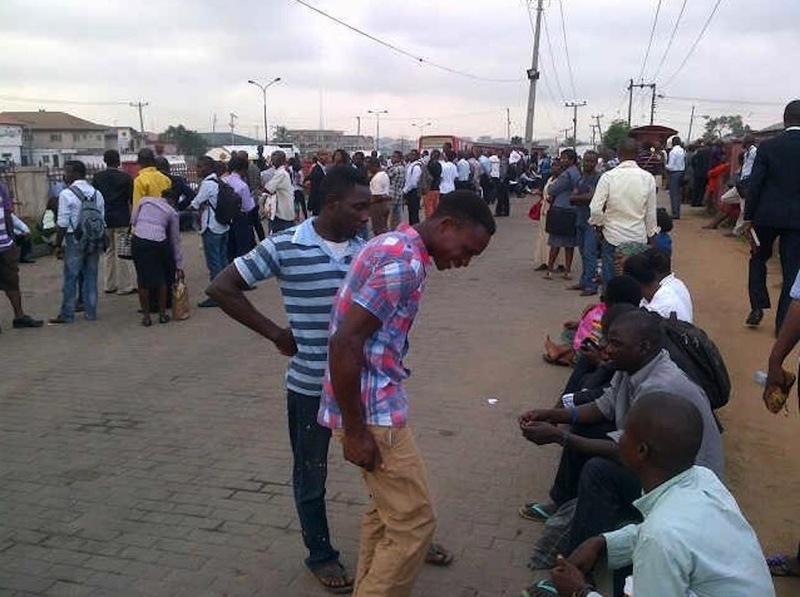 Several people in Justice Forum, where Ajomale belonged to, also moved en mass to Crusader,” the source informed. With this development, other groups are now at daggers drawn in the bid to resuscitate their activities. This scenario is, therefore, an irritant to the leadership of the party, as it is sending a wrong signal to other interests in the APC not from the defunct ACN. Reports say there have been clandestine meetings of party stalwarts coming from CPC and ANPP in recent times to ensure they have a voice in the APC once a new leadership structure replaces the present interim arrangement. “This is the latest challenge within the Lagos APC. Everybody is now meeting in groups and caucuses to start harmonizing their interests, which was ignited by the emergence of Crusader. 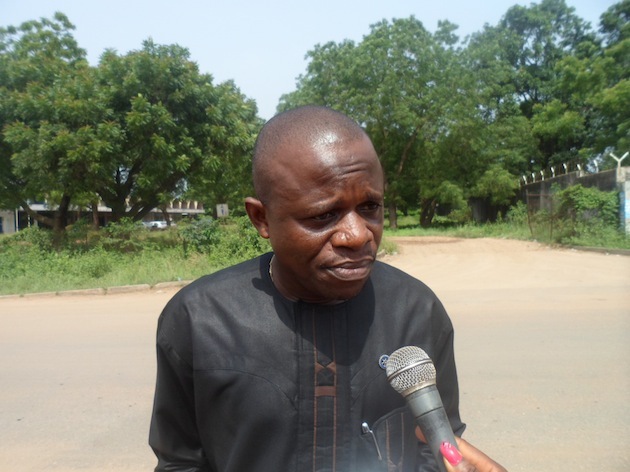 Though we hear he has denied having anything to do with Crusader, plans are that he wants to push his son forward to run for House of Assembly in Isolo Constituency II,” another party source informed. Factions and caucuses in party politics have proved very useful for influential members to negotiate for positions within the party but in the APC’s history, which trailed its Alliance for Democracy (AD), Action Congress (AC) and ACN days, managing the avalanche of interests in the party has been thorny. The original faction between 1999 and 2003 was just Justice Forum. All other groups came after. In 2002, the leadership of the Justice Forum felt Tinubu was becoming too powerful and wanted to checkmate him by working against his second term. This was coupled with the intrigues playing out in the then Afenifere leadership. This made the governor on the advise of his loyalists and late Mama Mogaji to set up another group that served as Bola Ahmed Tinubu Campaign Organization (BATCO). This later metamorphosed into Mandate Group. From 2003 to 2007, Mandate Group was dominant organ in party politics. But in 2007, there was a change of guards. Though the Mandate spearheaded Fashola’s emergence, when he got into office, as a way of asserting himself, Fashola withered down the patronage and influence of the Mandate in government. At the end of Fashola’s first term, majority of the Justice Forum leadership had become closer to the governor and wanted to use him to upstage the Mandate Group. This was the basis of urging Fashola to go for second term without Asiwaju Tinubu’s consent. However, wise counsel prevailed and Commissioner for Works, Kadiri Hamzat’s father, Oba Olatunji Hamzat, was instrumental in mending the fence between Fashola and Tinubu. As a result, a rapprochement was reached between the governor and his godfather as the second ticket was given the green light. Certain counter-productive rules and measures are allowed to flourish to the detriment of the system in particular and Nigeria in general. Some of them like ‘blocking’ or ‘sorting’, sexual harassment and open sexual abuse, truancy, insouciance, cultism, insane dressing habits, etc are notorious topical issues. However, there are some invidious maggots, which have been ravaging standard in our universities, weakening performance and ‘wiping off smiles’ from the faces of students, using a fine phraseology by Tanure Ojaide in Matters of the Moment. The maggots in question operate in the form of rules and manifests in certain assessment practices in the universities. Simply stated, there exist in our university system some unfair, questionable and objectionable established scoring methods, invidious assessment and feedback habits and rules, which harm students and lecturers consistently. One of such habits or rules examined here is the withholding of marked examination scripts from students. The other related ones will be addressed in due course. 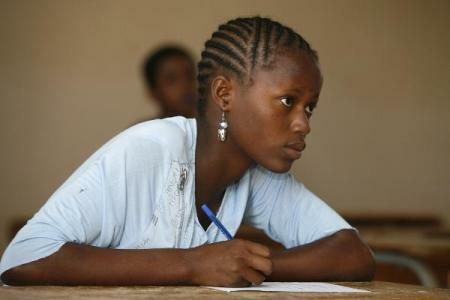 In our universities, students do not get their scripts back, as a rule, after they have been assessed so that they can see how they performed, why they scored high or low and why they failed in order to learn from them and improve in their next test or examination. I may be wrong in my assertions and thinking, which is why I write this letter so that I can learn from the reactions of more experienced Nigerians, senior scholars and educationists. Are there any genuine grounds why the system sustains such a practice of little or no value to the system? Student victims of the practice sometimes remonstrate about it, but they and their lack-luster students’ union governments do not engage the authorities seriously on the matter. When the results of the previous examination are released on a general notice board for students, they prefer to weep, curse and agonize with tear coursing down their cheeks because they have failed or performed very poorly in a course or some courses in which they were expecting a high grade: “Ah, ah! How come I failed this course?” “What? “But I wrote well, didn’t I?” “God will punish these wicked lecturers” “I wish I could see my scripts!” Henceforth, they react in several ways. Some become demoralized, reading with a dampened spirit. Some others work harder, yet repeating the same mistakes and errors and having the same grades. At times, some of them take a bold step to confront or consult the lecturers for explanations. Now, the response of a lecturer to a demand for a script or explanation by an aggrieved student depends on a number of variables. The first is the nature and orientation of the lecturer. If s/he is in a good mood and sympathetic to the student’s cause and has the time, s/he may listen to the complainant. The second consideration is whether the script is immediately reachable because lecturers mandatorily return scripts and examination scores to their departments after they have been assessed. To look for a student’s script thereafter and get it out from the piles of Annual Script Assemblies in designated offices is time consuming and strenuous. Often, if the lecturer is sure of his/her assessment of the script, s/he will call the bluff of the student or advise them to write officially for the script to be re-assessed by another examiner. To achieve this, the student has to pay at least ten thousand naira, an amount of money huge enough to discourage (poor) students from contesting their scores. Another factor may be the manner in which the student makes the request. Is s/he confrontational or respectful? The third is the university rule on the handling of students’ scripts, for in most universities, scripts are treated as sacrosanct materials that must be under the custody of the department and university, not to be given to students and must be handled with caution. So, students do not have unfettered access to their scripts, an access for which their academic souls and spirits crave. Should students not be entitled to see their marked scripts, as a standing rule, fundamental educational rights, or privilege, so to speak? Paradoxically or ironically, in all the departments, lecturers spend long hours, days and weeks marking students’ scripts for mistakes, errors, out of point (OP), good points, etc. Eventually, the students for whom the corrections in red inks are meant never get to see them. This practice damages the system in many ways. First, students do not get to see their mistakes and errors and correct them. So, they keep on committing them from year to year, and at last, they graduate with the same errors, which they repeat during interviews, teaching practice, industrial attachment and in their careers and jobs. Second, the practice damages or weakens the trust that students repose in their lecturers, for the withholding of scripts from students gives the impression that lecturers have something to hide. Indeed, it conceals the many instances of generosity, leniency and upgrading, on the one hand, and over strictness, oversight and sometimes ‘mark downs’ on the other hand, which some lecturers may pen with red ink on a student’s script. Because students do not see their marked scripts, they believe that lecturers do deliberately fail them or refuse to give them deserving marks. Some statements have now become clichés and slogans on students’ lips on campus, such as “that lecturer is fond of marking students down”, “He gave me an F in his/her course”, “That lecturer is too hackeous,” etc. In a micro study of 5,000 students of the University of Benin, Benin City, Edo State, Nnamdi Azikiwe University, Awka, Anambra State, Ambrose Alli University, Ekpoma, Edo State and the University of Ado-Ekiti from 2006 to 2012 (Ekundayo, forthcoming), all the students interviewed stated that in one way or another, lecturers have a way of either marking students down or failing them. The questions asked them were Do you think that lecturers mark students down or fail them outright? and How can you prove that lecturers do this if your answer is yes? Five hundred lecturers (four hundred male and one hundred female lecturers) in the universities were asked this question: Have you ever failed a student who ought to have passed your course? Most of the lecturers wrote ‘NO!’and even added further that they do pad up students’ scores generously, sometimes jettisoning their marking guides. However, forty–six lecturers (thirty-six male and ten female) admitted failing a student in error of mix-ups, haste or carelessness at one time or the other, which they later corrected when the students affected made a bold effort to complain about the performance. Between students’ general belief and lectures’ claim is a clear contradiction. Why do students massively believe that lecturers mark them down or fail them outright? And why do lecturers claim that they never mark students down and fail them straight? Students interviewed raised five major points to support their claims: (i) ‘lecturers do not ever allow students to see their scripts after exams because they know what they have done and so do not want to be exposed to ridicule… that is where there power is;’ (ii) ‘some lecturers come to class to boast that no student can have A in their course, that C is for the intelligent students, B is for the genius student and A is for God’! (iii) No feedback and revelation about how lecturers score students;’ (iv) ‘lecturers don’t care whether students fail or pass so long as their salaries are paid…’ (v) ‘Whenever a student calls for a reassessment, they are asked to pay a huge sum from their pockets! Why? It is a deliberate obstacle to discourage students from asking for a re- assessment of their scripts’. The implications of these are grave for both students and lecturers. If lecturers do not really fail students but students believe that lecturers fail them, then it is ironical indeed. However, if students deserve to fail and they are marked fairly and accordingly but they conclude that lecturers fail them, it is also ironical. The tenacity with which each side sticks to its point is also ironical. It is difficult to convince students that lecturers do not fail them deliberately, except for some isolated cases of malicious lecturers or genuine cases of mistakes and mix-ups. That this mismatch of positions and attitudes toward teaching and learning will continue is certain, and this is also ironical. Really, what does the system want to achieve by hiding students’ scripts? It is ironical that lecturers take pains to mark and comment on students scripts, pointing out their strengths and weaknesses, but students never get to see them for improvement simply because there is a rule that forbids giving scripts to students. Against this backdrop, I move that ASUU, NUC, the Ministry of Education, Chancellors and Vice Chancellors should now-now make a standing rule that empowers students to have their scripts back permanently or provisionally to check on their performances and correct their inadequacies. Such a rule will impinge positively on our university system in several ways. First, it will stop students’ bogus claims of deliberate victimization by lecturers. No student can claim that he was victimized or denied of this or that grade because his/her script now in his/her possession can prove it all. Second, it will save the time, efforts and money spent on the reassessment of protesting students’ scripts. Third, it will reduce sexual harassment to its lowest level. Further, it will build mutual trust and respect between students and lecturers. Above all, it will enhance educational standard and performance of our graduates whom both local and international employers of labour look down on and necessarily subject to more rigorous in-training. Scripts should be given back to students permanently or at least temporarily. However, it should be methodically done, an aspect that I shall address in another article. • Ekundayo wrote from Benin City. AGBARA Industrial Estate is a fast-growing town booming with property business and this is spearheaded by the Ogun State Property and Investment Corporation (OPIC). 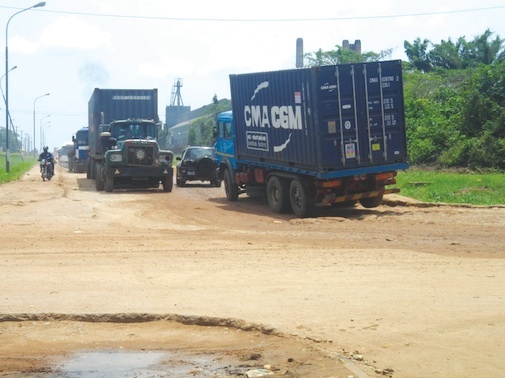 The anticipated boom is not unconnected with the massive Lagos-Badagry road project embarked on by the Lagos State government. Until recently, landed property was at a “give away” price, but with ongoing road project coupled with the congestion in Lagos, more property investors are settling there for real business, with at least 30 estates along the axis at the moment commencing aggressive marketing to would-be investors. Besides, Agbara is home to a number of manufacturing companies. The location and accessibility of Agbara Estate makes it a strategic place to site an industry, since raw materials and finished goods can be easily transported to and from the factories. These include Beta Glass Nigeria Plc, Vitamalt, Pharma Deko, Nestle, Lotus Plastics, Reckitt Benckiser, DIL/Maltex, Evans Medical, Unilever, Colodense, GlaxoSmithkline, Cometstar Cables, and most recently, Procter and Gamble, which is constructing the largest of its plants in West Africa. Agbara Estate, a model integrated town development on 454.1 hectares of land, is being managed by AE Property Services Limited, a subsidiary of Lawsons Corporation Nigeria Limited. Sadly, residents of this sprawling industrial complex are burdened by infrastructural deficiencies which include bad roads, absence of fire-fighting station, indiscriminate dumping of refuse and industrial waste, ill-equipped Agbara sewage treatment plant and lingering legal tussle between the Estate Management and the village community. 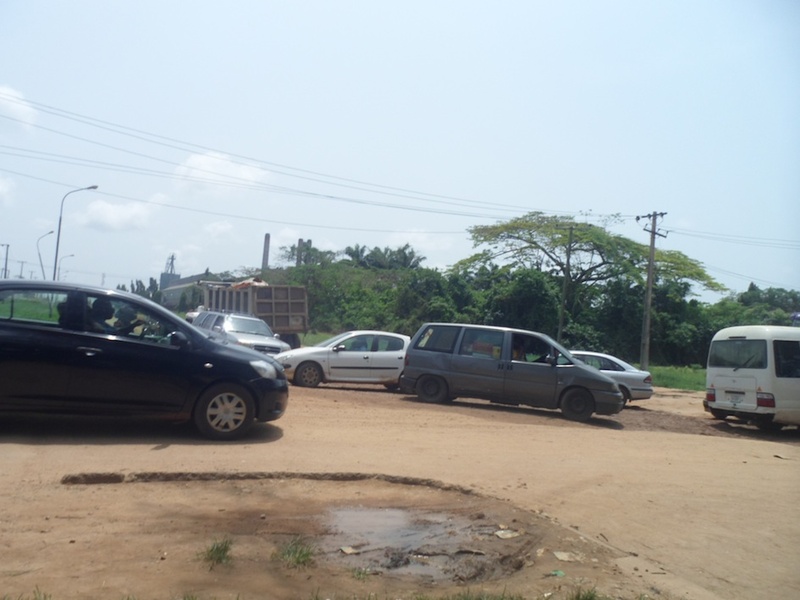 The biggest concern to private and corporate residents of the estate is the deplorable state of the road leading into the estate and connecting the inner-city roads from the Lagos-Badagry expressway. The dreaded T-junction has now been classified the zone of death because of the increasing activities of theft and car snatching at the bad spots. 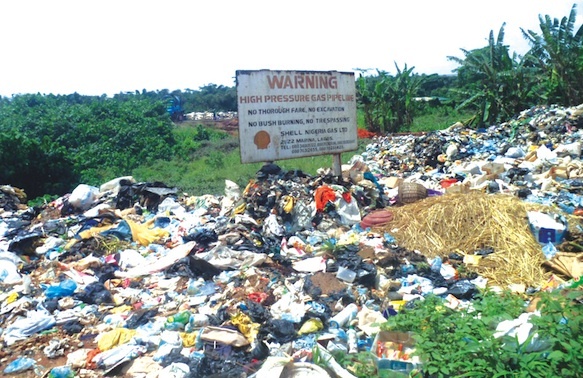 When contacted, officials of the management firm refused to speak to The Guardian, as they insisted that the issues raised by residents are private not public matters, since Agbara is a private estate. THE crumbling wooden house with creaky staircase, which is reported to have once served as the seat of the Oil River, the precursor of the Southern Protectorate, is a metaphor of the sorry state of affairs in the country. Compared to the ornate State House, Marina, Lagos and Aso Rock Presidential Villa in Abuja, a visitor to this ramshackle building will hardly believe that power once flowed from this derelict edifice before the famous amalgamation of the Southern and Northern Protectorates, which resulted in modern Nigeria in 1914. The sophistication of this pre-fabricated story building lies in the fact that the materials consisted mainly of well-processed wood. The materials were cut to sizes and treated in Europe, and imported just to be coupled together in the country to form the weather-beaten structure. Tucked in a corner right behind Delta State High Court three and the state Library Board complex on the main street of Nnebisi, this pre-colonial antiquity, which was built by the Royal Niger Company, in 1886, and named after the famous British explorer, Mungo Park, who died while attempting to discover the source of the majestic River Niger, is in real danger of caving in, if no serious renovation work is carried out, and on time. There is a gloomy sensation occasioned by the dreary landscape where the fast crumbling upstairs is situated. There are gaping holes on the wooden platform, which serves as the top floor and the staircase. Even though they have occasionally been repaired, a walk up the staircase is still not for the faint hearted for fear that the 128-year-old building may just collapse, leading to fatalities. Built during the time of Sir George Tubman Goldie by the United Africa Company (UAC), the building was named after the famous explorer, Mungo Park, who died in 1806, when his boat capsized at New Bussa, Niger State, during an expedition on the River Niger. Hugh Clapperton, who took over from him, abandoned the exploration in 1827. Richard and John Lander (the famous Lander brothers) started from where Clapperton stopped and were believed to have anchored in Asaba in 1830 before venturing to the mouth of the River Niger right on the Atlantic Ocean. Sir Goldie was appointed as the administrator of the Oil Rivers in 1884 and immediately merged the various small British firms that were in operation to form the UAC conglomerate. The company was granted license by the British Government and its headquarters was located in Asaba. Way back in 1879, Goldie had set up the National African Company, which operated in the lower valley of the River Niger in West Africa. He then united other British traders with similar economic aims to join him in the ownership of the amalgamated company, which he then renamed. With the partition of Africa at the Berlin Conference of 1885, the company, in 1886, received a charter of incorporation from the British government and was authorised to engage in the administration of the area on behalf of the British crown. Its tremendous success in palm oil business with the locals was to be its major undoing, as the British government in far away London closely monitored its activities and became envious. The government stepped in and took over UAC, which was then christened as the Royal Niger Company (RNC). The company flag, Ars Jus Pax was lowered in place of the Union Jack. 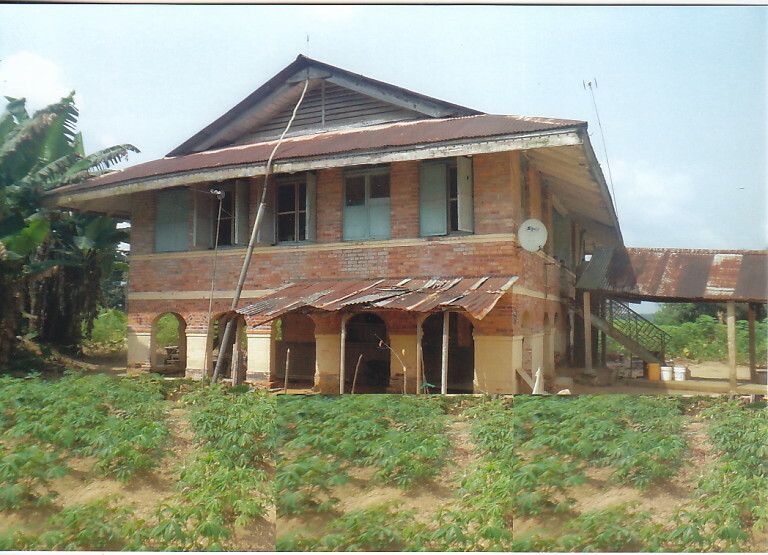 With British government’s direct intervention, business boomed to the extent that a big warehouse was needed to store the produce, hence, the construction of Mungo Park’s House. It was mutual co-prosperity for the British and the locals, but Asaba people nursed a deep grudge against the British whom they accused of looking down on them and also engaging in sharp business practice. The white ways, culture, education and religion were radically different from those of their hosts. This resulted in the Ekumeku uprising, which lasted from 1898 to 1914 and is regarded by some historians as one of the longest resistance put up by any group against colonial imperialism in Nigeria. After fighting for more than a quarter of a century, the British triumphed, but they were thoroughly shaken. It was crystal clear that that their time in Asaba was numbered. The atmosphere for legitimate business was no longer conducive, and so, had to relocate to Calabar which served briefly then as the capital of the fledging protectorate. The Royal Niger Company was the forerunner of British colonialism in present day Nigeria as the company entered into treaties with locals and also conquered territories, which were later, annexed to the British Empire. In fact, it was on the strength of the company’s conquest that the British derived authority as well as imperial influence to present and support arguments on claims of territories when the major European powers met at the Berlin conference to partition Africa. With solid facts on the ground as a result of the activities of the Royal Niger Company, British claims were easily recognized by other world leaders at the parley, which was called by German Chancellor, Otto von Bismarck, in the Imperial German capital. The Public Relations Officer of the museum, Okoroafor Ikechukwu, said that the building was handed over to the Federal Government through the National Commission for Museum and Monument (NCMM), in 1997. Though it has been a Federal Government property for almost 17 years, nothing has changed. Museums, he said, are supposed to keep legacies and heritage and that is why the edifice was declared a monument as it once served as the administrative headquarters of Nigeria, adding that if in 1900 the government changed and the administration of the territory was then run at this place, it followed that it momentarily served as the administrative headquarter of the country or of the Southern Protectorate of Nigeria before it was moved to Calabar. He remarked that, in 1900, when the Royal Niger Company handed over the reins of power of the budding colony to the British Government simultaneously in Lokoja and Asaba, the company’s flag was lowered and the Union Jack (British flag) was hoisted. Before then, the company controlled the area administratively, but immediately the British Government took over in 1900, Lord Lugard started the administration. The Education Officer, Chidi Uchenna, explained that Europeans from England shipped the pre-fabricated woods for the construction of the building through the River Niger. All the woods were cut to sizes before shipment. The major schedule of the workmen was simply to fix them. They just mounted the iron stand and began to fix the wood. The nuts and screws were pre-fabricated also and were simply knotted together at the site in Asaba. Uchenna lamented the present sorry state of the building, saying it is a national embarrassment. With its dilapidating form, there is no way an exhibition can be mounted there. There is an urgent need to restore it to near perfect state just as it was when it was constructed. With adequate funds, the building can be put back to near normal because there is no way the original material can be sourced. Against the backdrop of its historical significance, one expects that the museum’s signpost should be located on the busy Nnebisi Road as the edifice is situated on a cul de sac some 100 metres off the road, instead of the present position just before the entrance where it heralds people to the historical house. As for visitors to the monument, Uchenna said it mainly plays host to students on excursion and academics who are doing research. There is a royal exhibition of all the traditional rulers in Delta State in one of the halls, which is partitioned with wood. Ikechukwu faulted the argument in some quarters that Calabar was Nigeria’s truly first seat of power and that Asaba, the current capital of Delta State was a mere trading headquarters, saying that it was the Royal Niger Company that extended the British influence in what later became Nigeria including Lokoja, another claimant. The Royal Niger Company played significant role in the making of the country. In commemoration of the 1830 historic anchoring of the boat with which the Lander brothers sailed to Asaba from Bussa in present day Niger State in their quest to discover the source of the River Niger, the Delta State government under former Governor James Ibori built an anchorage in Asaba. Commissioned by former President Olusegun Obasanjo on January 17, 2002, the centrally located edifice by the bank of the River Niger which is constructed in multi coloured marble with a bottom cycled stepson top of which rests the elevated golden chained anchorage was to mark the remarkable incident in history as well as to promote and preserve the past. Besides, the anchorage is the expatriate graveyard where seventeen staff members of UAC were buried. The names on the tombstones of these 19th century expatriates, most of whom died from malaria are still visible. 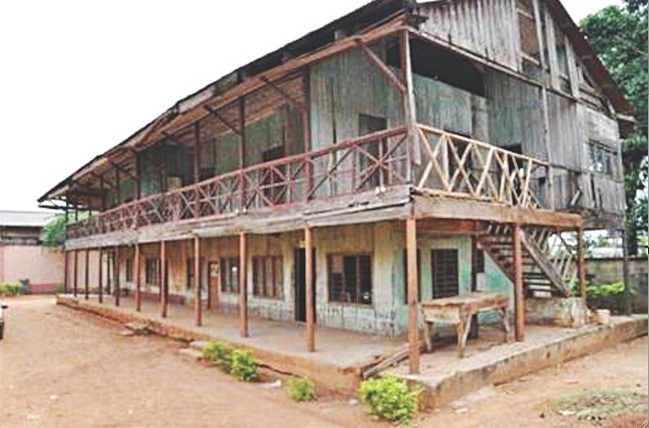 With these vestiges of a colonial past, the Asaba museum spokesman said that between 1886 when Mungo Park’s House was built to 1900 when the British left to Calabar, Asaba was truly the capital of the colonial area, which was later, named Nigeria. He insisted that the relic may not have had the grand architectural designs and aesthetics of a modern day State House in Nigeria, but one thing is for sure, a proper history of Nigeria will not be complete without Mungo Park House. It did play a crucial role in the past affairs of the country. ON the bank of Kaduna River lies Zungeru in Wushishi Local Council. It is about 56 kilometres away from Minna, the Niger State capital. A laidback town with rustic realities, the serenity of the environment, the friendly ambience and wondrful people are salvation tunes for anybody looking for where to relax in a place close to nature. For a writer, creative juice flows in the town because there aren’t much distractions. On a market day, the town is sure to breath life. It welcomes everybody, as people come from far and wide to trade. This Wednesday afternoon, light poured in on the town brilliantly, as traders haggled and bargained. The wealth of this town is from its history: The star attractions being the house that Lord Frederick Lugard lived in opulence, and where, indeed, he signed the amalgamation document. The town holds a great deal of significance to the Nigerian state, as it was the birthplace of Dr. Nnamdi Azikiwe, the first Nigerian Senate President and later president of the country; the current Senate President, David Mark; and Biafran warlord Chukwuemeka Odumegwu Ojukwu. It equally has the reputation of being the burial place of the founder of Nigerian Scout Movement, Australia-born Henry James Speed. Unfortunately, there is little in the town today to show that it had once served as the fulcrum of the nation’s history. But unfortunately, the town has not preserved its history as to make the desired income. These monuments have crumbled and decayed and their images are washed out like faded photographs of a distant forgotten era. The town is now a patchwork of both splendid moments, tragedies of funereal black, and darkly coloured vignettes. PRIOR to the advent of British colonisation, the region now known as Nigeria, at a time a geographical expression, comprised several contiguous nationalities, each having its distinctive structure, political, economic and social systems that defined relationship with outside world. But the extortion of agreement by Britain and forced institutionalisation of a barbaric colonial system ensured the emergence of a town like Zungeru as an administrative and commercial town. In the early 20th century, Zungeru was one of Nigeria’s most important towns. It was the capital of Northern Protectorates between 1902 and 1916. It was gathered the village was densely populated because of the concentration of federal civil servants, especially railway workers. With the high presence of Europeans, as well as the native colonial soldiers, commercial activities increased. Most of the soldiers made their shopping in the village market. According to oral history, when the British colonialists came, their inability to call the place Dunguru brought about the corrupted form Zungeru. British forces occupied Zungeru in September 1902, which was then populated by the Nupe tribe. Lugard chose the town as capital of Northern Nigeria over Jebba and Lokoja due to its central location. It grew from an almost virgin territory of small scattered settlements of the indigenous population, mostly Nupes, Hausas and the Gwaris, to a town of over 35,100 residents. The population comprised the British, artisans from other West African British colonies and clerks from the Southern Protectorate as well as labourers and traders from Hausa, Nupe, Kanuri, Fulani and other tribes in the Northern Protectorate. Being a railway town, with sparse and scattered settlement of the indigenous people, Britain couldn’t have got a better bargain. They cleared the forest and established a market, military barracks and hospital, among other things. Thus, Zungeru became one of the most peaceful, cosmopolitan and politically important towns in Northern Nigeria. The movement of administrative headquarters from Zungeru to Kaduna in 1916 was like plucking the goose to obtain the largest possible amount of feathers with the smallest possible amount of hissing. But in a way, this decision led to the town’s gradual descent, which is evidenced in the neglect and lack of interest on the part of government and the citizenry to preserve national heritage. To fully understand the extent of this neglect, a journey through the community tells some revealing stories. Zungeru, the forgotten capital of Northern Nigeria, by Bamtsoho Mohammed, a retired Brigadier General of the Nigerian Army, best capture it. Government House at Zungeru, where Lugard once ran his government and which was declared one of Nigeria’s national monuments, is gone. The site was declared a National Monument on February 13, 1962, and the building was erected in 1902, the year that Frederick Lugard established the administrative headquarters of the Northern Protectorate. Not even its foundation stones remain. 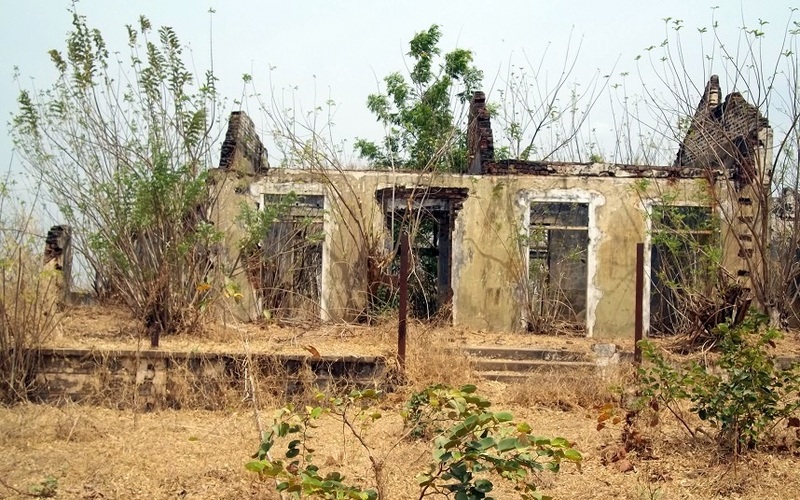 What’s left of Lugard’s office and residence are ruins. With the exception of its columns and the structure’s concrete foundation, the House was completely dismantled in 1916, when the seat of government relocated to Kaduna. Zungeru’s first church, the United Mission Church was built in 1905, but has been mostly washed away by erosion. Though the church’s original bell and furniture are still in use, the structure is in need of attention. 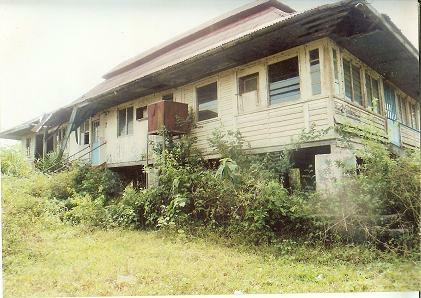 The house and its surroundings are a testament of the neglect and vandalisation that have coloured the heritage. Stripped of its original fittings and all, what remains is a carcass nestling among weeds and thorns. Other historical sites such as the railway terminus, the steam generators that provided 24-hour transmission of electricity and water to colonists’ homes, and the Officers Mess are still existing; but are badly damaged. The head offices of pioneer multinationals John Holt, the Royal Niger Company and UAC are also visible, but only as ruins. The ‘dungeon’, an underground prison dug deep into the ground like a well but without the water. Here, the British lords lowered offenders as punishment. They are lowered into the deep end with a long rope and lifted out with the same rope once they’ve served their term, so to speak. Lamentation, just as it is in the Holy Bible, rents the air. The people are not really happy with the situation of things in the community on this market day, as many wondered what would have become of the town if Kaduna had not replaced it as favoured land. A motorbike rider, Alhassan Musa, who spoke to The Guardian, said. “we are not happy that government has neglected Zungeru. There is nothing to write home about here, in terms of development, from the time the country’s headquarters was moved from the old railway town to date. He also complained about the nonchallant attitude of successive administrations toward preserving the historical monuments. Last year May, President Goodluck Jonathan kick-started the N162.9 billion Zungeru Hydroelectric Power Project in Niger State. According to the President, the hydro dam project, when constructed, will generate 700 megawatts of electricity for the country. Benefits of the dam President Jonathan listed employment opportunities, agricultural development and tourism as benefits from the dam. The Zungeru Dam was conceived about 30 years ago and the first feasibility study done on the project was by Messrs Chas T. Main International of USA. • Dr. Nnamdi Azikiwe Centre, a gigantic structure that was initiated during the regime of General Ibrahim Babangida. It was built in memory of the late Azikiwe. The edifice was well-conceived and brilliantly structured to house the administrative and library blocks of the centre. Today, it is absolutely abandoned. • Dr. Azikiwe Primary School is the elementary school that Dr. Azikiwe attended as a boy. And it is still standing. • Colonial bridge, built by colonial masters is in existence, but rarely used. • Museum in Zungeru houses excavations of items used by the colonialists. Many of such items can also be found in the state’s museum at Minna. Such items include guns and bullets used by the colonialists, the telephone used by Lord Lugard when he was in Zungeru, the bottles used for storing water and wine, colonialists’ head wears, among others.